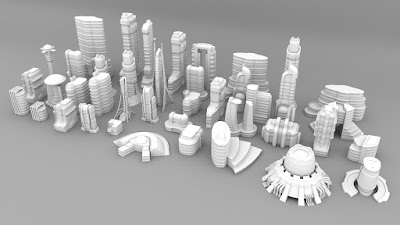 Wow, I'm so pleased this Kickstarter was successful, I can't wait to see pics on webpages of games using these buildings. So right now Kickstarter is taking care of the financial side, so I'm going to get the models all zipped up and uploaded, ready to distribute. I'm pretty sure Kickstarter has method of sending out "bulk" messages so I can send out the download link to all of you at once. If there are nay hiccups I'll let you know, but so far things are going smoothly. Thanks again for making this a successful campaign, I'll definitely be doing another one soon!